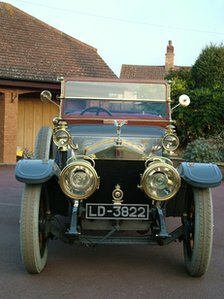 An 101-year-old Rolls Royce Silver Ghost, built for one of the men behind the Titanic, will return to Northern Ireland for the first time in 85 years. The car, named after the iconic RMS Titanic, was made to order for Harland and Wolff chairman Lord Pirrie, shortly before the ship launched in 1912. It will be the star attraction at the annual vintage, classic and sports car show in Newcastle, County Down, which begins on Friday. Lord Pirrie was instrumental in having the Titanic and its sister ships built in Belfast for the White Star Line. Car show visitors will witness the original ‘Titanic ghost’ name plate and Lord Pirrie’s family crest. This is despite the number of make overs it has experienced since it was sold following Lord Pirrie’s death in 1924. Not only was it converted into an ambulance, but it also had a short lifespan as a breakdown truck before it was renovated in the 1950s. It left the UK when it was sold to an American owner in the 1980s and only returned in 2000 for a four year restoration process. 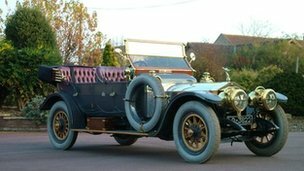 The century-old vehicle currently resides in Lincolnshire, England. Martin Cromwell, one of the show’s organisers, said it was apt that the car should return to the birth place of the Titanic in the 100th anniversary year of the ship’s sinking. “This car has a unique link to a special time and place in our history ,” he said. “It’s a remarkable car that is really evocative of the era, a time when Britain’s car and shipbuilders were the very best there were.